Calvin Neal Phillips, known to his family and friends as “Butch” and “Uncle Butch”, departed this life on Tuesday, January 15, 2019 at Duke Regional Hospital in Durham, North Carolina. He was born on July 13, 1937 in Winston Salem, North Carolina to the late Daniel and Lillian Brown Phillips. His sister, Irene Phillips Overby; brother, Everett Daniel Phillips; “adopted siblings,” Mamie Brown and James Brown; and beloved daughter, Monique Sherrie Phillips preceded him in death. Calvin was a 1955 graduate of Hillside High School. After graduation, he enlisted into the United States Air Force where he served his country until his honorable discharge in 1959. He attended Croft Business College and Durham Business College. He did not graduate as he knew without a doubt that we wanted to work with his hands and he could not do that sitting behind a desk. He was taught construction by his father at an early age and stayed in construction until one fateful winter that left him so cold that he said “I have had enough of this! I’m too pretty to freeze”. He promptly left construction behind and went to work for Liggett and Myers for the next eight years. While employed with Liggett and Myers, he was blessed with a daughter, Yvette Blackspon Bolden. A few years after her birth, he met and married his wife of 52 years, Ethelyn Johnson Phillips and from their union; they had one daughter, Monique Sherrie Phillips. They moved to Boston, Massachusetts where they lived for nine years. While living there, Calvin worked for Massachusetts Eye and Ear Hospital. 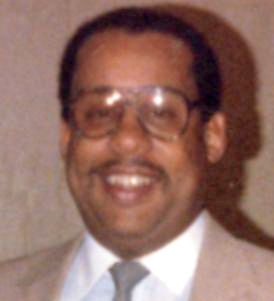 They moved back to Durham, North Carolina in 1977 where he worked with University of North Carolina at Chapel Hill for 23 years and retired as a Supervisor for Custodian Services. Not letting any grass grow under his feet, Calvin drove a school bus for the Durham County School system until he “retired” again for a second time eight years later. Calvin was baptized at an early age at Greater St. Paul Missionary Baptist Church where he was a faithful member and served as a member of the Male Chorus for several years. He recently started attending First Calvary Baptist Church up until his health declined. He will always be remembered as a devoted husband; loving father, brother and friend. Calvin leaves to cherish his memory a devoted wife, Ethelyn Johnson Phillips; one daughter: Yvette Bolden; one son-in-law: Eric Bolden; three siblings: Blondina Lawson, Donald Phillips, and Glenda Phillips; one brother-in-law: Martin Johnson; four sisters-in law: Geraldine Phillips, Gwendolyn Phillips, Sadie Johnson, and Priscilla Johnson; one grand-daughter: Alana Bolden and a host of nieces, nephews, cousins and friends whom will greatly miss him.